If you get a new computer, a tablet, a smart phone, an Amazon Fire, a smart thermostat, a Roku player, a smart TV, or any internet connected device, you’re going to need to know your WiFi network password. And if you’re like most people , you set up your WiFi network quite a while ago and you don’t remember your WiFi password… or you wrote it down and can’t remember where you put the piece of paper you wrote it on or where on your computer you save it. If you get a new tablet, smart phone, streaming video player, etc. and you need to find your network password, we’re going to show you how to do it the quick & easy way. 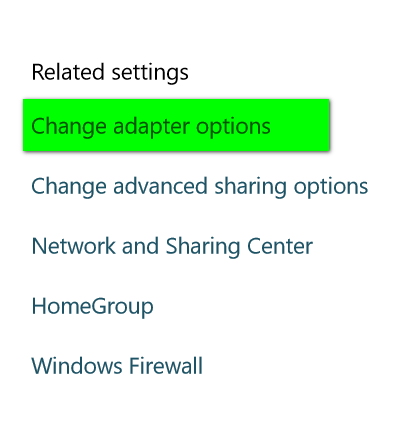 Press Windows Key + i to open Settings (or open Settings from your start menu). Click on “Network & Internet”. 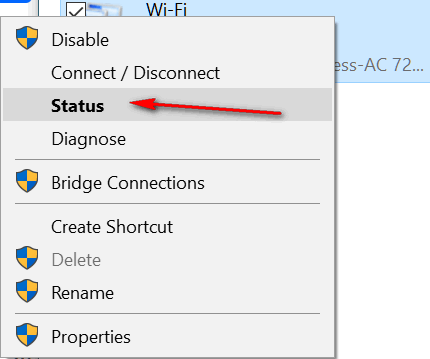 In “Network & Internet” settings, look on the right side and you’ll see the following options. 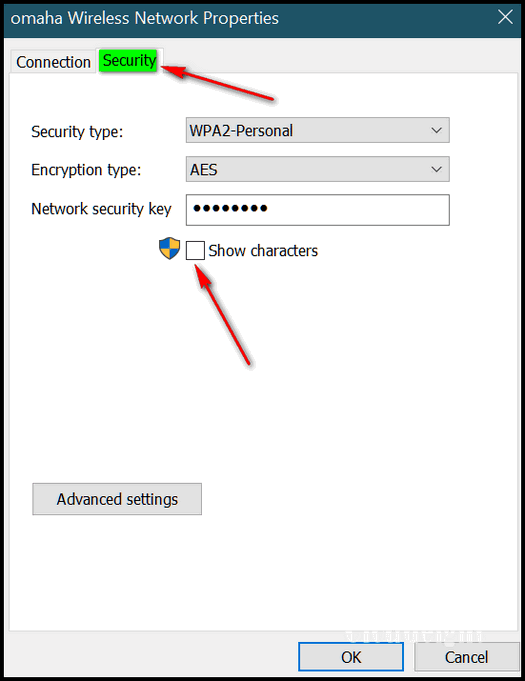 In the Wireless Network Properties Security dialog, tick the box next to “Show Characters” and your password will be shown to you unencrypted – in plain text. 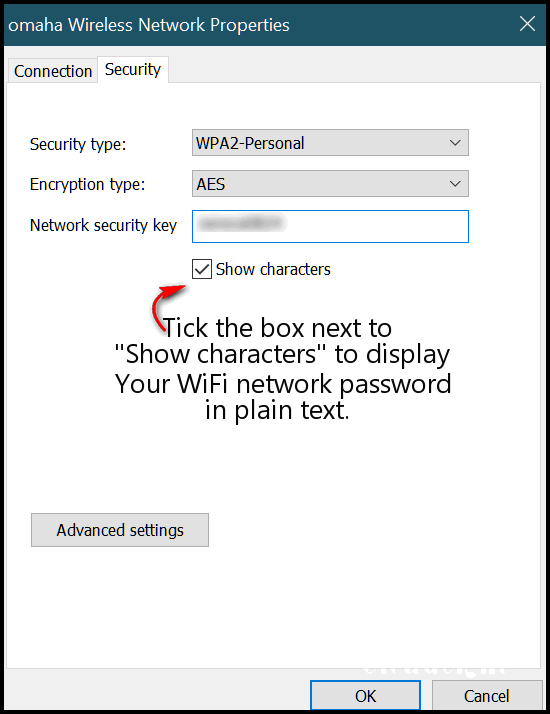 You can also find your wireless network password using a command prompt. See our article here to learn how. It’s not hard to do, but you have to connect to your router’s page in a browser. There’s a good tutorial on how to change your WiFi password here.. 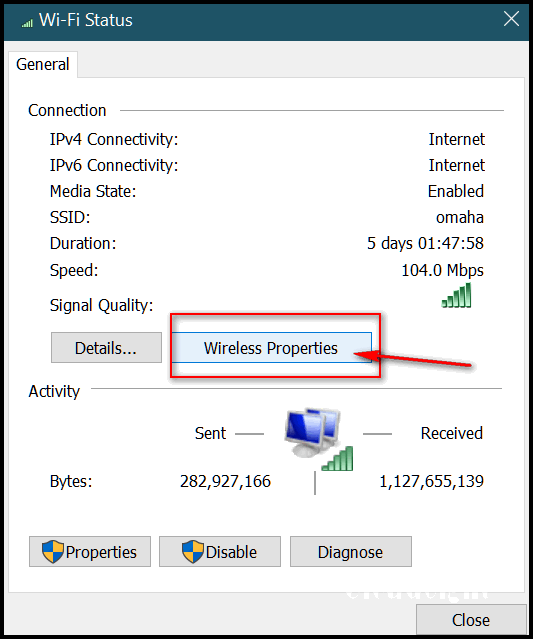 This won’t work if your computer is connected to the router by ethernet cable. However, the wi-fi password will probably be on the router, (wireless key). It is on mine. That’s why the article is called “How to Quickly Find your WiFI Network Password” 🙂 You’re not going to connect many smartphones, tablets, smart thermostats, etc. to Ethernet cables. Payton Manning used to say “Omaha” frequently when making audible play calls. Was he referring to your WiFi network? Yes. Peyton wanted me to do TV commercials with him, but I declined because I enjoy poverty too much!